When the energy of the port looks charming but the meditation of a coast that embraces your stay allures you, then, Thalassa Blue Hotel is your destination. Captivate your sights with glorious views of the Rousoum bay and enjoy your swim at the beach beneath. The market is easily accessible and so are the tavernas for you to taste and cherish Greek cuisine! 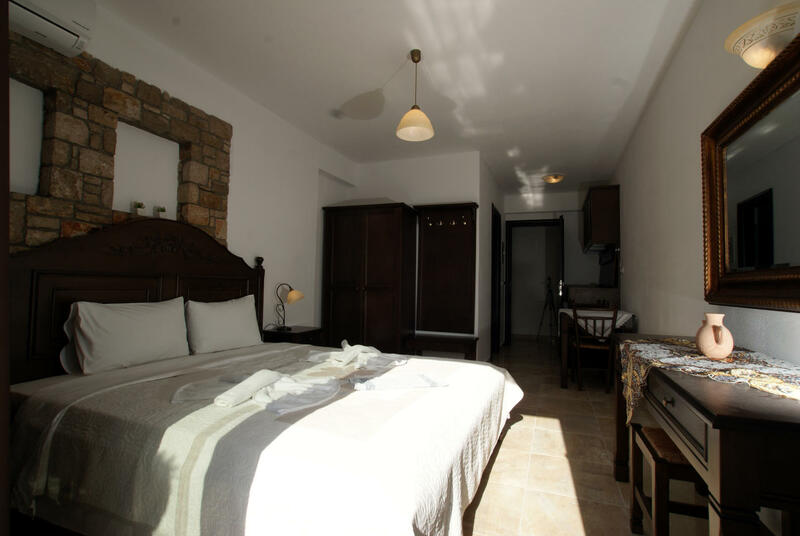 The studios are spacious fully-furnished and appointed and carry large sea-facing terraces with sun-beds and umbrellas. 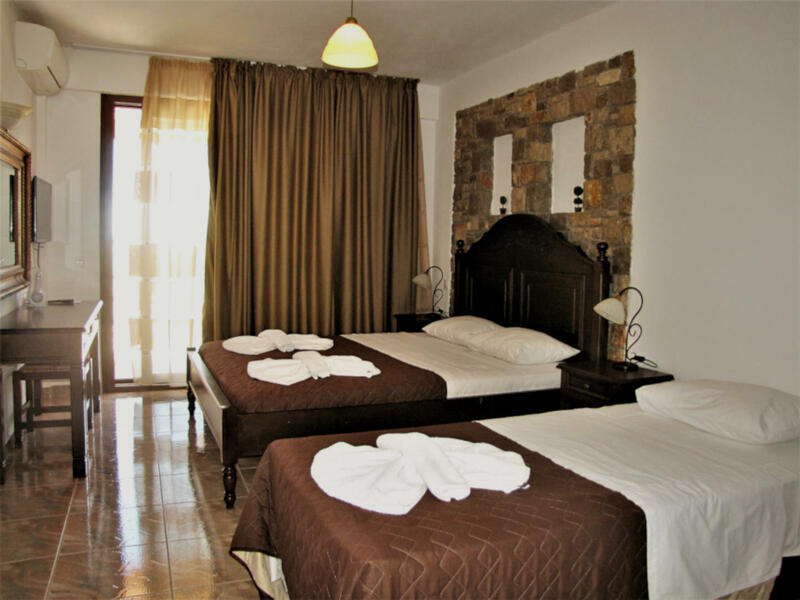 All have double beds, a modern bathroom with shower and hair dryer, air-conditioning, TV and WiFi. The units are cleaned daily, with linens and towels being changed every 2 days (or more frequently on request). The maisonettes are on the top floor – the furnishings are the same as those in the studios and the kitchenette has the same facilities. 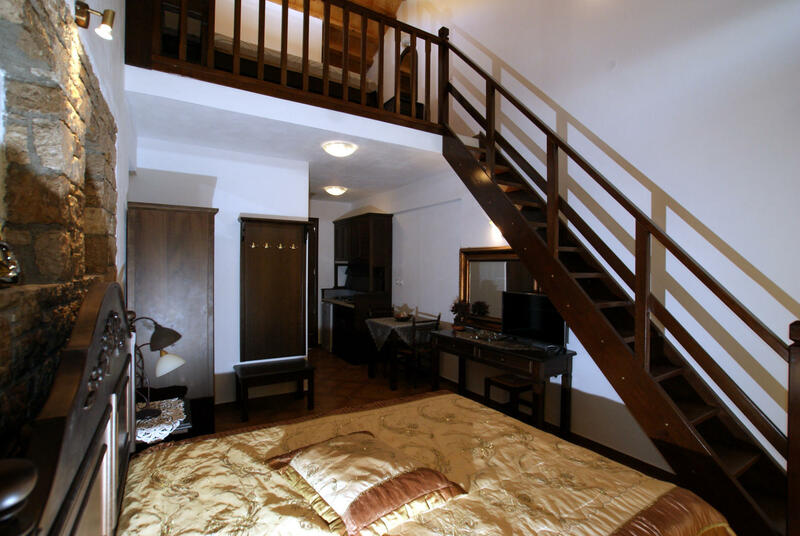 In addition, there is a double or twin-bedded sleeping gallery above the bedroom, accessed via a traditional wooden staircase.